Home / Constantino Chiwenga / Groote Schuur Hospital / Medical Emergency / News / Roman Catholic / Skin Bleacing / Where is Zimbabwean Vice President / Yellow bone / Medical Emergency: Where is Zimbabwean Vice President? Medical Emergency: Where is Zimbabwean Vice President? Harare - Since rumours started circulating that Zimbabwean Vice President Costantino Chiwenga was airlifted to South Africa for treatment, social media has been buzzing, speculating his exact whereabouts. Some sections have speculated that he might have been admitted at Cape Town’s Groote Schuur Hospital. However, the institution has issued a statement to clarify the above, after multitudes gathered to protest outside the hospital. "The Department of Health is aware that a group of Zimbabwean citizens have gathered at Groote Schuur Hospital to protest against the alleged treatment of the Zimbabwean Vice President, Mr Constantino Chiwenga at our health facility. "In honour of our commitment to patient confidentiality, we cannot discuss patient details. however, we can confirm that he was not or currently is an inpatient at the hospital. "While we understand the concern of the Zimbabwean community, we need to balance this with the rights of other patients to receive care. "We urge the community to direct their requests to the Zimbabwean authorities and to respect our hospital premises as a healing environment for patients. Health staff should be given the space to continue uninterrupted with their patient care," the hospital said. Since last year, Chiwenga's complexion has become lighter, igniting a viral social media debate, regarding the real cause. And as the rumours spread, the former army general chose his sister's funeral to diffuse the widespread news. During that historical era, Chiwenga who wore a bandage on his right army, suddenly became sick with a mysterious disease. As has become the norm within government circles, Chiwenga sought medical attention in South African hospitals. “I have decided to talk about it because that is what you see, but you should know that everything that happens comes with a price. We then sent everything to South Africa to find out what was causing the sickness, but they failed to treat it. “It was then that my (late) sister Margaret approached a (Roman Catholic nun) and was given herbs that I began taking until I was healed. But before I took the medication they also prayed for me. 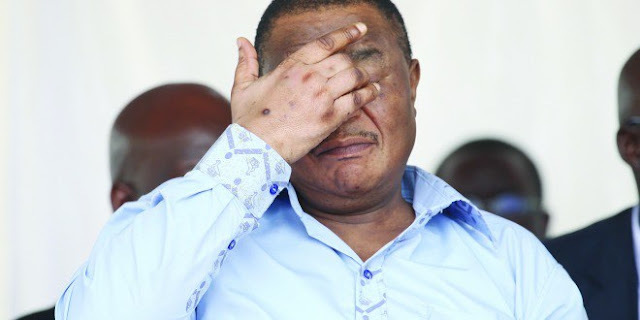 This is what had affected me and had also affected my wife,” said Chiwenga. In urban lingo, a yellow bone is the lightest type of light skinned black female. They can often be very rare to see in comparison to other blacks because there are not as many of them in the general black population.